When most of us rationalize our outrageous rents (and for buyers, real estate prices), our first go-to argument usually involves something along the lines of how great it is to live so close to work and the bustling city. 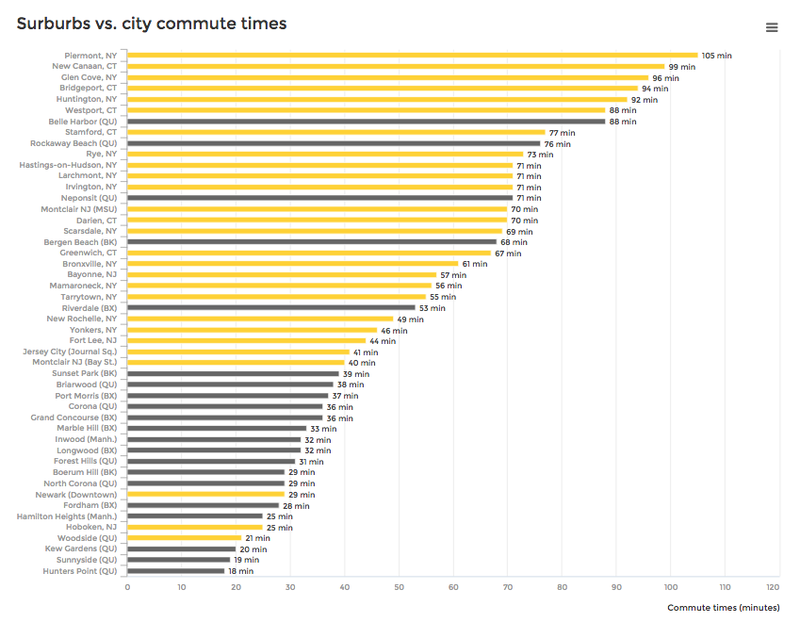 But as it turns out, there are actually more than a handful of neighborhoods outside of the borders of Manhattan that boast way better commute times than even Brooklyn. 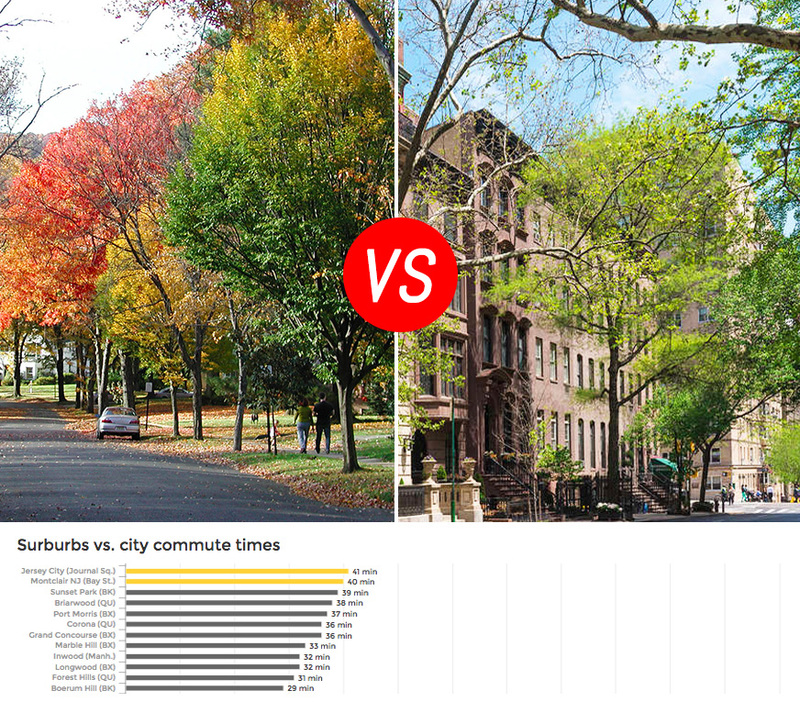 Real estate data start-up NeighborhoodX is back again with yet another eye-opening visualization, this time pitting the commute times and real estate prices of various New Jersey, New York and Connecticut suburbs, and a few popular Queens and Brooklyn nabes, against one another. According to Curbed, NeighborhoodX arrived at their findings by looking at commutes to Midtown Manhattan, focusing mostly on rail travel. At first glance, travel times are pretty much what you’d expect: yes, coming in from Tarrytown would take you about an hour; 29 minutes from Boerum Hill to 42nd Street sounds about right. But it’s not until you start comparing the real estate values of areas with similar commutes that the crazy premiums we pay for “convenience” are really put into perspective. On NeighborhoodX’s site, you can place your cursor over the various cities to see their average real estate prices per square foot. Some surprising findings: While Hoboken and Boerum Hill share similar commute times (25 minutes versus 29 minutes) prices in the Jersey city are just $659 a square foot as compared to $1,172 for its Brooklyn counterpart. In Queens, when comparing Sunnyside and Hunters Point, the difference in commute is just a minute, but when you look at the prices, property in the former is just $632 per square foot versus $1,029.